This is according to Prof Vinny Naidoo, newly appointed Dean of the Faculty of Veterinary Science at the University of Pretoria (UP). The faculty is the only one of its kind in South Africa, and the second-oldest in Africa. Prof Naidoo, who at 41 is among the youngest deans in the country, sees the faculty playing a role in food production and food security. Statistics South Africa’s 2016 General Household Survey shows that 7.4 million South Africans reported experiencing hunger that year, while food security remains the most urgent issue for citizens living in poverty. He says cows that have poor diets cannot enter the commercial feeding system, and are not valuable to farmers. “There is no arable land for expansion into plant production, so livestock farming will be an important growth industry for the country. In livestock farming, farmers may be able to recognise basic diseases in cows, for example, but they purchase drugs from co-operatives where the most appropriate drug is not always available and at times receive poor advice.” Many farmers have no access to vets who can assist them with animal production. To help improve animal production and achieve food security, the university is strategically targeting the recruitment of students from rural areas so that they can go back home and work with farmers in their communities, Prof Naidoo explains. Currently there are only 3 500 vets in South Africa, while the World Health Organisation estimates that there should be 9 000. UP admits 190 first year students into its Veterinary Science faculty annually, and is introducing a nursing degree in veterinary science next year. Veterinary science students have exposure to courses that include ruminant health and production, while veterinary epidemiology teaches them about the spread of diseases and surgery in species ranging from pet cats and dogs to cows and elephants. Meanwhile, specialists in the faculty offer a service to farmers and breeders. Prof Naidoo said vets can work in numerous fields such as state vet services, animal production, small animal medicine and equine practice. While he has worked as a vet at the university’s animal hospital, Prof Naidoo’s interests lie in the unintentional effects of drugs and food safety. “If I treat a cow with a drug and someone drinks the milk, they might have an allergic reaction to the drug. 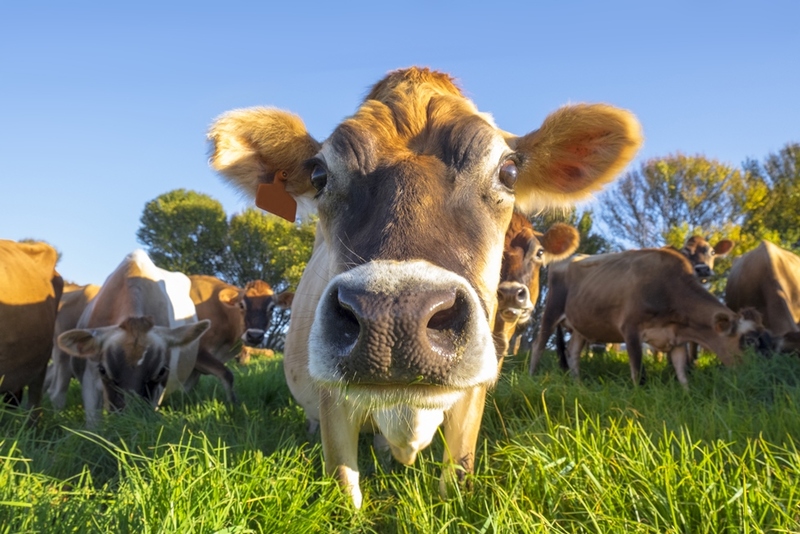 In addition, exposure to antibiotics in milk can result in antimicrobial resistance and the generation of superbugs that can be a life sentence for people living in an immunocompromised state,” he explains. His research is focused on the mechanistic toxicology of pharmaceutical products. As a PhD student, he was involved in a research project in India, where he was part of a team that tested alternatives to diclofenac, which causes renal failure in vultures after they eat the carcasses of cattle treated with diclofenac. People in India view cows as sacred, and will not put them down if they are ill. Instead, they give them anti-inflammatories which contain diclofenac, and this has drastically reduced the vulture population in India from 10 million to 10 000 over 15 years. Based on the findings of Prof Naidoo’s research, the Indian government banned the use of diclofenac for veterinary use, but people are still using it, albeit to a lesser extent. “The ban recommended the use of other drugs, of which approximately 10 are available. We did work to prove that meloxicam was effective while everything else tested thus far is toxic.” While the number of vulture deaths has been arrested, they will never reach their original numbers. The dwindling vulture population has had an effect on the cultural practices of the Parsi community, which practices the Zoroastrian tradition of disposing of dead bodies by leaving them in a ‘Tower of Silence’ for vultures to feed on. The community does not believe in burying the dead, as this amounts to defiling the earth, Prof Naidoo explains. Now the community uses solar concentrators to dessicate bodies. Prof Naidoo explains that vultures are important for cleaning up dead carcasses, and that a committee of vultures can strip a buffalo carcass in 30 minutes. “Vultures are highly protected, and belong to the state,” he says. Since they are on the brink of extinction, Prof Naidoo believes the adage that “Gone is forever” – no matter how advanced genetics processes become, we won’t be able to bring them back if they disappear. Prof Naidoo and his wife Lauren (a fellow vet) have a dog and two cats as pets. He knew from the time he was a child that he was going to be a vet, but has a fascination for medicines and how they work. He regards himself as a researcher by profession, and his research passion is Cape vultures. “If you look into the eyes of a vulture, you will fall in love with them. They have beautiful white feathers, and their eyes are dark brown to yellow,” he says with a smile. Is there any animal that he’s scared of? “Snakes!” he responds without hesitation.